BOULDER CITY, Nev. (AP) — Authorities are investigating the sinking of a yacht owned by Las Vegas entertainer Wayne Newton, at a Lake Mead marina. National Park Service spokeswoman Christie Vanover said the 65-foot vessel sank Oct. 18 in 45 feet of water, while it was in a slip at Temple Bar Marina. That’s on the Arizona side of the Colorado River reservoir, about 80 miles east of Las Vegas. The 1996 Skipperliner, named Rendezvous, began taking on water at about 9:30 a.m. and sank within minutes, Vanover said. No one was on the boat, and no injuries were reported. Newton’s sister-in-law, Tricia McCrone, confirmed that the yacht belongs to Newton. McCrone said Newton and his wife were vacationing when the boat sank. 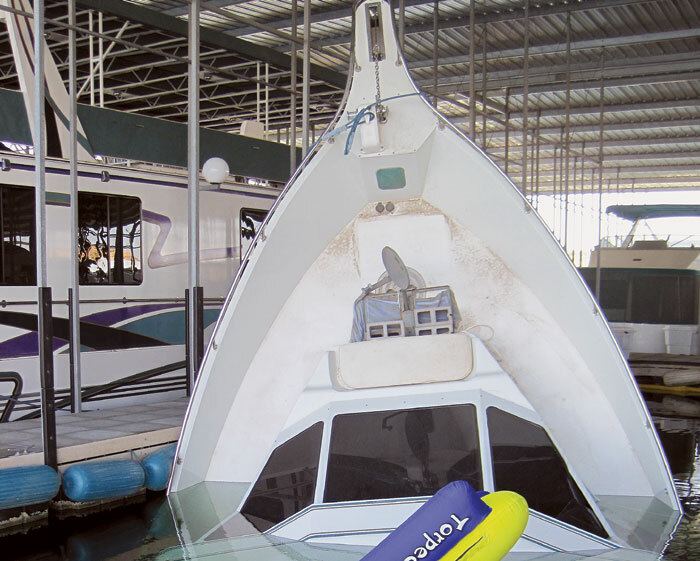 A crew from Vessel Assist out of Lake Havasu City was called to salvage the boat, Vanover said. No hazardous material had been observed at press time, and initial assessments indicated that equipment failure may have led to the sinking, Vanover said. National Park Service park rangers are investigating the incident.